Are Certified Product Destruction and Food Destruction Companies The Same? A necessary part of business operations in the food industry is handling food waste and packaging. Even with careful planning and best efforts, the temporary shelf life of food products cannot be eliminated. This is true for manufacturing companies as well as for food services. Food waste is a problem in the United States, as 133 billion pounds of food waste is created each year. For the most part, food destruction is a routine process. Your local trash hauler will pick it up curbside and take it to the landfill. There is also a movement of alternative food destruction options, including diverting to recycling, composting and/or to new waste-to-energy plants when appropriate. Food destruction companies are a growing part of the food waste management system. But they are not the same as certified product destruction companies. There are times when a more specialized method of destruction is required, and that is where certified product destruction comes in for food waste. Product destruction should be handled in a professional, confidential, and cost efficient manner by a reputable disposal company. Let’s take a look at some scenarios of when and why companies may need to take this more specialized approach. Food recalls occur when there is reason to believe that a food may cause consumers to become ill. A food manufacturer or distributor initiates the recall to take foods off the market. In some situations, food recalls are requested by government agencies (USDA or FDA) when a problem is spotted in a facility inspection. No company in the industry from large to small is immune from an outbreak, and recovering from the sometimes devastatingly expensive recall process can be difficult, so it’s obviously best to avoid problems whenever possible. The labels, you see, don't mean what they appear to mean. 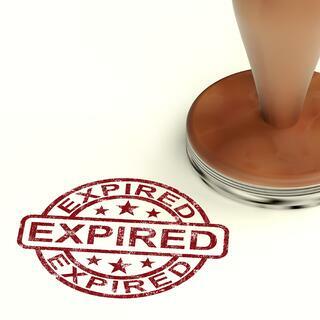 Foods don't "expire." Most foods are safe to eat even after that "sell by" date has passed. However, they just may not taste as good, because they're not as fresh anymore. If your company uses these labels to protect the reputation of your products, you want consumers to see and consume your food in as fresh a state as possible. The challenge is sometimes due to over-forecasting of demand or weather related transportation issues, you may have too much of one product on your hands or in your warehouse. In order to protect your brand, destruction is more preferable than having less than fresh product hitting shelves, or worse ending up in a discount retailer eroding your brand reputation. It’s best to have these products destroyed by a reputable company with proof of destruction. Accidents on the way from your facility to the distribution center can also be a major cause of headache for manufacturers. Picture an overturned trailer, or the highway littered with your product. 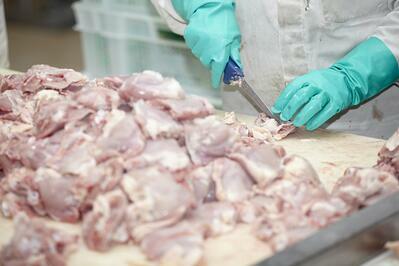 Once that happens, your shipment of food is ruined and must be disposed of with assurances. Situations like these can result in large inventory on hand that must be managed properly. Management can entail isolation, treatment, destruction, and disposal. Because swift action is often necessary during recalls, U.S. Department of Agriculture’s (USDA) Food Safety and Inspection Service advise that food processing companies get in touch with a disposal company to handle product disposal in the event that it’s necessary. While it may be easier and cheaper to toss the no-good goods in a dumpster, the potential damage to your brand and liability exposure is not worth any minimal cost savings. A big concern is having your product diverted into the hands of unscrupulous dealers with no concern for public health and safety. Apart from losing significant profits from the grey market, brand degradation can result because your supposedly discarded products are appearing in places with substantial discounts, resulting in consumer expectations of lower prices for that product and an unwillingness to pay for the real thing at the real retail price. In such cases, the product disposal company that you contracted with to dispose of your products is undoubtedly at fault, and legally liable, for the unauthorized sale of your goods earmarked for appropriate disposal as hazardous waste. However, it remains your firm's obligation to ensure that the disposal company you hire meets all the designated regulatory standards. Doing so protects you ethically, as well as legally, while sustaining a reliable strategy for future profitability. Price is certainly an important factor, but not the only factor. Can you trust the company you’re about to work with? Check that the company is licensed properly and that they’re experienced in the field. Ask them what their plan is for your waste, and make sure they can lay one out for you. Ask them if they have the ability provide evidence of the entire process. Check that the facility has 24/7 surveillance on their storage areas. They should provide you with certification that the entire process has been completed. If you can check off these boxes, then you’ve found a vendor worthy of negotiating on price. Remember, public health and safety are at stake. Don’t trust an amateur to get this job done right.